- Only the “Class/Group” registered to take the test is displayed. - You must select either a Class or a Group, and at least one student must be in that class or group. - Quit : Quits the current screen and moves you to the main page. 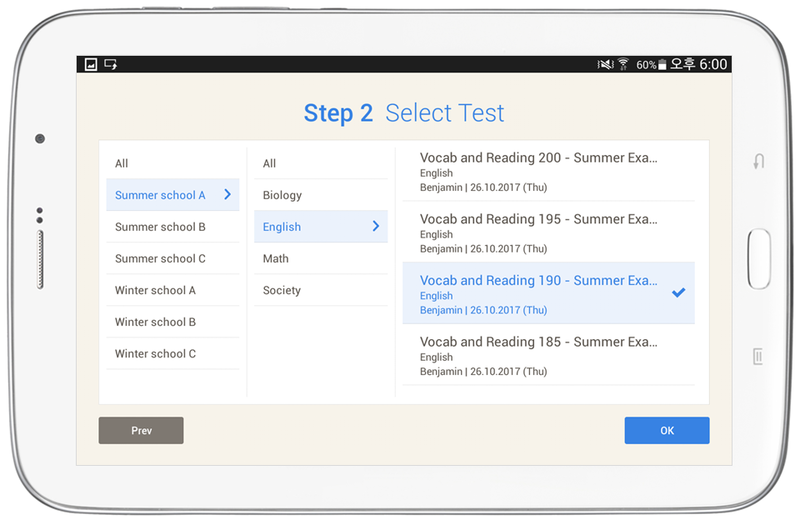 - If you select the test and touch [OK], you will be moved to the “Test preparation” screen. 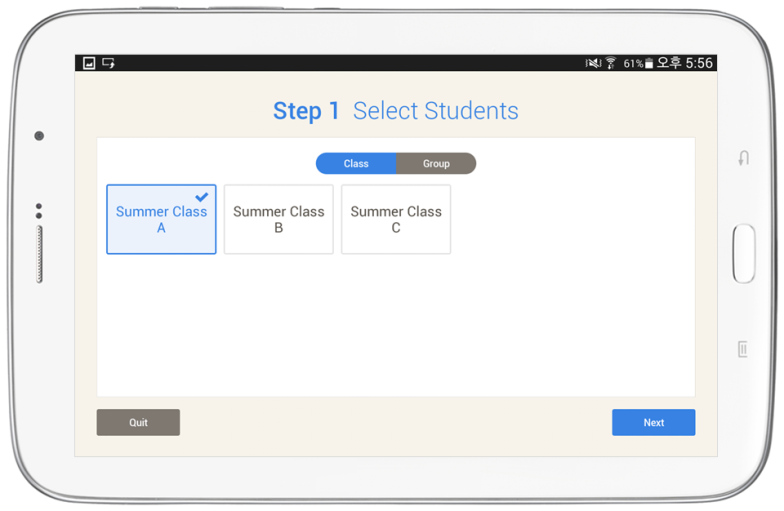 - If you selected “prev”, you will be moved to “Step 1: Select students” screen.